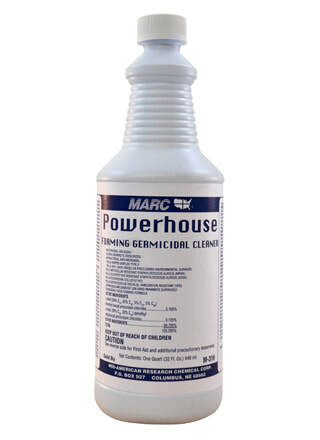 This product is a ready-to-use high-foaming disinfectant, cleaner and deodorizer. IT is designed for institutional-grade use. Effective against organisms such as MRSA, GRSA, HIV-1 (AIDS virus), VRE and E. Coli. EPA-registered.